Today is Ascension Day, or, if you’d like The Feast of the Ascension. Of all the moments in the life of Christ that we commemorate during the Church Calendar, the Feast of the Ascension may be the most puzzling. Where did Jesus go? What exactly are we marking by saying that He ascended? 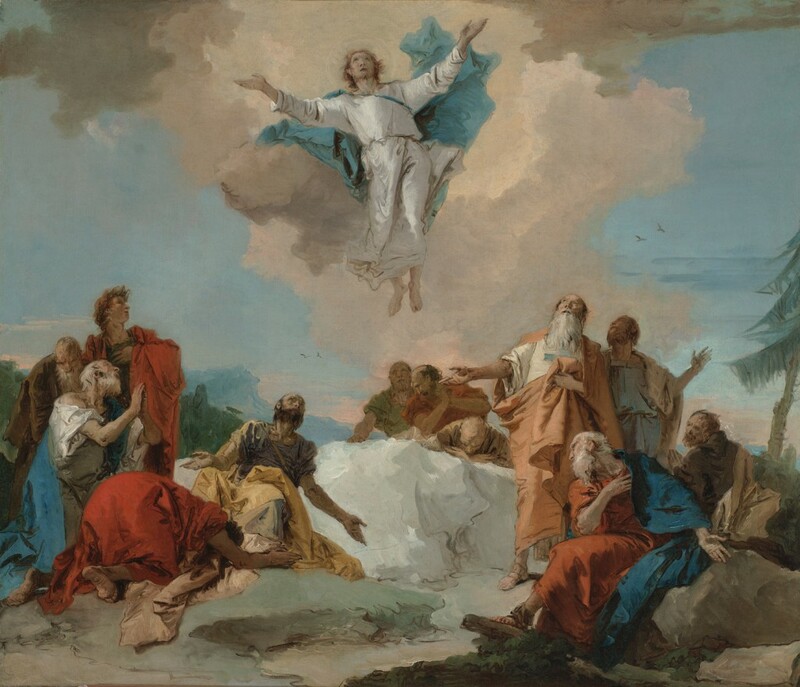 The meaning of the ascension and its bearing on our lives may be clouded in part because of art that depicts Jesus returning to heaven like a cosmic superhero. But perhaps the reason we struggle to find meaning in the event is a bit closer to the heart. The ascension triggers what the disciples themselves felt when Jesus started talking his departure—a sense of abandonment. Awhile back, when I was preaching on the ascension during a series on the Nicene Creed, a congregant emailed me to share how up until that week, she had struggled with the ascension because it always felt like Jesus was leaving us. Despite the very blatant statement from Jesus that He would not leave us like orphans, the event of His ascension seems like a painful reminder that He is not present, or at least not in the same way, and that is somehow a loss. The ascension of Jesus can feel like Jesus is escaping earth and abandoning us. How can we celebrate that? Let’s take a closer look at the stories of Jesus ascension. Unlike the resurrection accounts, the stories seem less concerned with marking the event in history, and more concerned with convey its meaning. The imagery is significant. First, consider the image of Jesus ascending on the clouds (Acts 1:9). The Gospels record Jesus talking about the ‘Son of Man’ being ‘seated at the right hand of Power, and coming with the clouds of heaven’ (Mark 14:62; Mathew 26:64; cf. Matthew 24:30 and Mark 13:26). These statements have often been read as references to the return of Christ, and they do contain overtones of a future appearing. But the phrase is a clear echo of Daniel 7, where the Son of Man comes up the cloud up to God and take the seat of authority over the affairs of the world. The cloud imagery is meant to make us think of Jesus going to a seat of power. Being ‘seated at the right hand’ is not an absence but a more powerful presence. This is the first meaning we are to make of the ascension: The ascension of Jesus is about His enthronement. As we compare the surrounding details of the story, something else rises to view. There is an uncanny parallel between the story of Jesus being ‘taken’ and the Old Testament story of Elijah being taken. In the Elijah story, there is an anointed prophet (Elijah) and an apprentice (Elisha). The sign that the empowerment which the prophet had would be passed on in greater measure to the apprentice was that the apprentice would see the prophet being taken up into heaven. In the Jesus story, the anointed Prophet promises an empowerment—which would be better than His physical presence—and then is seen being taken up out of their sight. Luke (the writer of Acts) very clearly seems to be referencing the Elijah story in the way he describes Jesus’ ascension. And he’s doing it to make a statement: The ascension of Jesus is about our empowerment. When we put those two things together we begin to grasp what the Ascension of all about: The ascension of Jesus is about His enthronement over all and our empowerment by the Spirit. That is something to have a feast about.